Long Beach Senior Squadron 150, Civil Air Patrol, United States Air Force Auxiliary announced the promotion of Capt Joseph (Jerry) Civalleri, CAP to the grade of Major in a ceremony at Long Beach Senior Squadron 150 headquarters on Los Alamitos Joint Forces Training Base on 22 Sept, 2016. 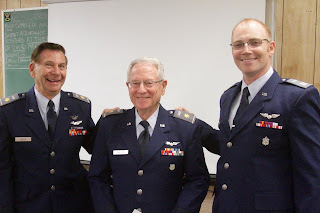 Major Civalleri has been an integral part of the operation and success of Long Beach Senior Squadron 150 since he joined Civil Air Patrol in 2009. He currently serves as the squadron's Professional Development Officer, Assistant Communications Officer and Assistant Personnel Officer. Civalleri has also served as the squadron's Assistant Aerospace Education Officer and Assistant Recruiting and Retention Officer. Major Civalleri holds Emergency Services Qualifications as a Mission Observer, Mission Scanner, Mission Radio Operator, and Mission Staff Assistant. He is also a Skills Evaluator and is qualified to serve on Counter Drug missions. Congratulations Major Civalleri, on your well-deserved promotion! Squadron 150 is proud to announce that we are participating in Wreaths Across America this year. Wreaths Across America is a nationwide service project to honor fallen veterans by placing wreaths on their graves in cemeteries all across the nation. 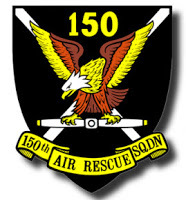 There are over 1,000 participating locations this year and Squadron 150 has chosen to support and participate at Pacific View Memorial Park in Corona Del Mar. This year it's particularly meaningful for our unit because one of our squadron members has a loved one, who was a veteran, laying at rest in Pacific View. As a squadron we look forward to honoring and remembering this veteran along with the close to 8,000 other veterans at rest in Pacific View. Your generous contribution will honor the memory of a veteran and also provide financial support for our squadron. And, if you would like to assist us and other community groups by placing wreaths on veteran's graves, please let us know, or sign up on the Wreaths Across America site to volunteer. Thank you for helping Civil Air Patrol and Squadron 150 honor our veterans this Holiday season! 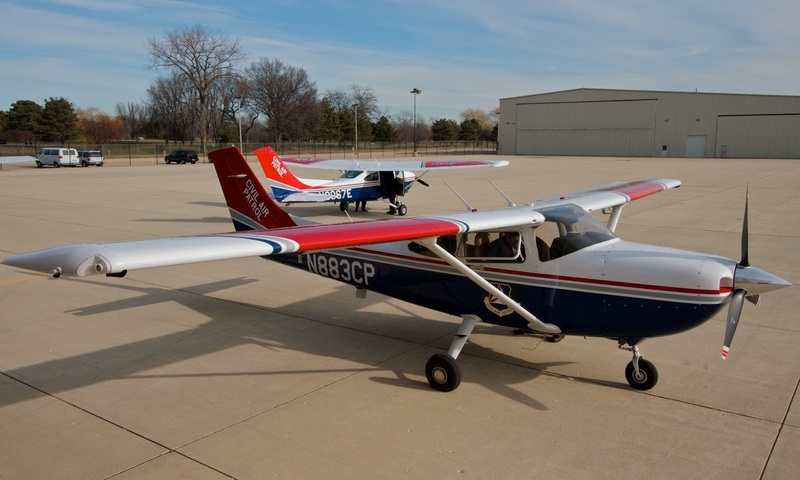 One of Civil Air Patrol's primary missions is in Emergency Services. To fulfill our squadron's goal of always being operationally ready when needed, we have begun a new aircrew training series for new members and for members who are pursuing new aircrew positions. The first aircrew position available to members is that of a Mission Scanner. As the name implies the Mission Scanner is responsible for scanning for the search target from the aircraft. There is more to successful scanning than simply looking out the window! There is a method of scanning that is taught in CAP that makes our scanning efforts more effective, while also reducing visual strain. Mission Scanners are also an integral part of the safe operation of the aircraft, along with the pilot and Mission Observer, so Mission Scanners are also taught the basics of aircraft operation, screw resource management concepts and airplane safety, among other valuable skills. Mission Observers will also maintain radio communications with the mission base, assist with navigation, maintain communications with air traffic control (for observers that are also pilots), and assist the pilot with mission planning. 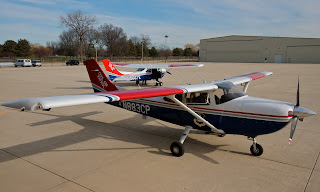 If you're interested in being a part of a Civil Air Patrol aircrew, send us a message through our website and we'd love to tell you a little more about what you can do in CAP! This year marks the 75th anniversary of the founding of Civil Air Patrol. As part of our celebration of CAP's anniversary we will be sharing highlights from the history of CAP from now through the end of the year on our website. This historical video was produced by the AOPA about the early history of Civil Air Patrol. CAP founder Gill Robb Wilson was also the founder of AOPA and CAP's highest award is named after Wilson. Video courtesy of AOPA and CAP NHQ.